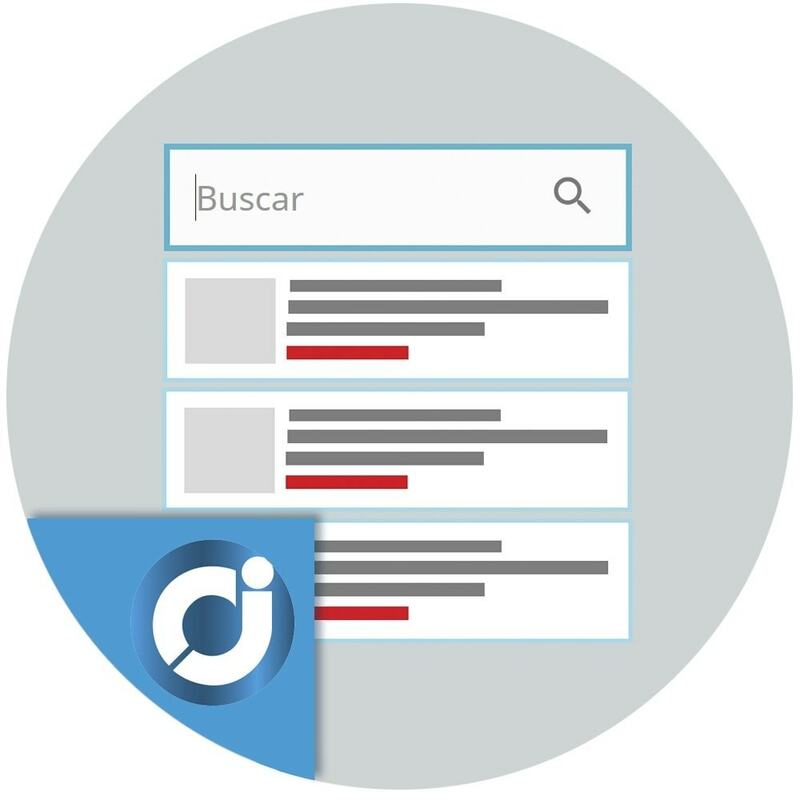 Incorporates a search block with elegant suggestions. Improve the usability and navigation of your shop. Chooses what information to show in the suggestions (product image, name, reference and much more). Chooses the desired search engine. The search engine that brings this module or the own search engine of PrestaShop. Helps your customers find the product they are searching for in your shop. Increases the conversion rate by showing the button to add to the cart in the suggestions. Add custom styles to adapt this module to your active theme. This module allows the client to perform advanced searches with elegant suggestions of products with image, product name, reference, short description, default category, manufacturer, supplier, quantity available, price and button add to cart. The search block can be positioned in the store header or one of the columns (left or right). Button Add to the cart. This module can use 2 different search engines. It is possible to use PrestaShop's own search or the internal search that incorporates this module. With the search engine of PrestaShop the parameters indicated in the administration are used, in "Preferences -> Search". Consider products with stocks or not. It is also possible to change the sorting method. In ascending or descending format. You can add words in a black list so that they are not considered in the search engine. From the configuration of this module you can also indicate the maximum number of suggestions to show. Customers can see search suggestions instantly as they type in the text field. Customers can find the desired product more easily. Customers see the suggestions in the search block with a highly improved and professional visual aspect, increasing their satisfaction. Customers can add suggested products to the cart. tutto perfetto team molto professionale e disponibile, grandi!